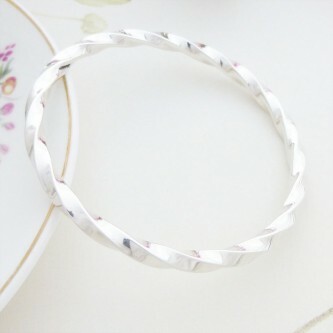 Beautiful, hand made in the UK silver bangle featuring a funky twist in its design. Heavy weight, personalised solid sterling silver 10mm wide bangle, hand made in the West Country! Gorgeous chunky solid silver bangle, an amazing bangle handmade in the West Country and can be engraved! 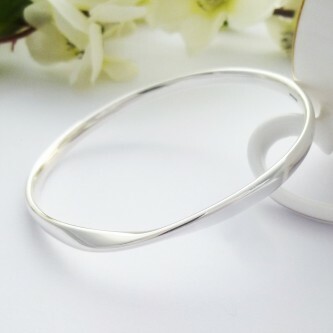 Stunning solid silver Torq Bangle that looks amazing on! and is handmade in the UK! 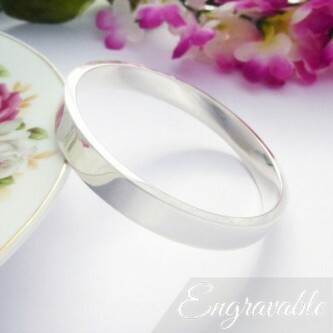 Exclusive, solid silver hammered wide bangle that can be personalised, hand made by our silversmith! 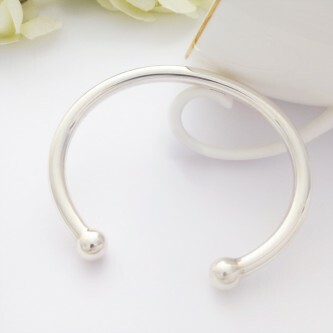 A popular classic oval section ladies round bangle in solid sterling silver, handmade in the UK! Unique solid silver twisted bangle, weighty and hand crafted in the West Country, funky! The Isla bangle is a chunky and solid bangle with a rectangular cross section and a heavy weight feel, gorgeous! 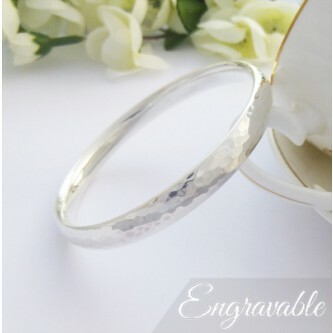 A stunning solid silver textured bangle which is unique, contemporary and looks fabulous on! 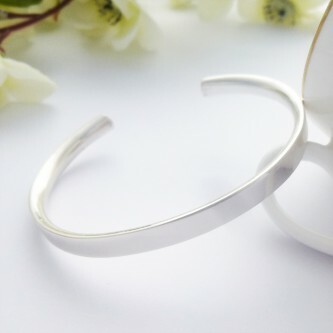 Enjoy browsing through our beautiful range of solid 925 sterling silver bangles that are exclusive to Guilty Bangles and have been handmade in the UK. 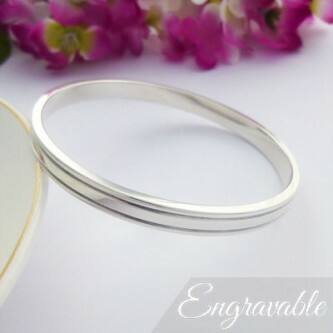 We are also excited and delighted to offer our customers sterling silver bangles in a variety of different sizes, no more loose bangles slipping off of your wrist, or bangles too small to get over your hand. A gorgeous exclusive collection of quality handmade silver bangles designed for bangle lovers! The new exclusive range of 925 handmade sterling silver solid bangles available only from Guilty. 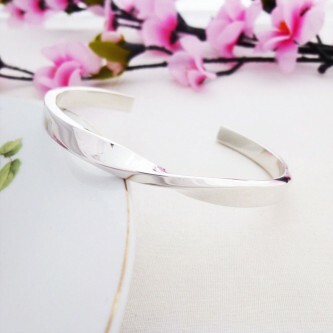 Find a stunning range of solid sterling silver bangles handmade in the UK and exclusive silver torques only available from Guilty. All of our exclusive range are made bespoke for us by a range of leading UK silversmiths to our own size specifications. 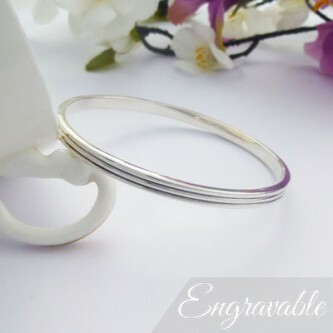 Our customers benefit from stunning bangles that are totally handmade in the UK from start to finish and are completed to the highest quality levels. The Guilty exclusive silver bangle bracelet range offers a unique collection of solid 925 sterling silver bangles for men and women that are entirely hand made in the UK. Our exclusive range is designed to offer you an alternative, entirely solid with all of the relevant UK hallmarks, these solid silver bangles are second to none in the degree of craftsmanship and finish.